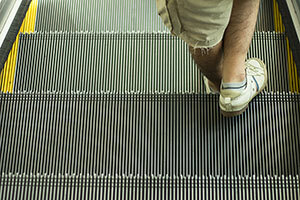 Sometimes, people in Naples suffer elevator and escalator injuries. If you have suffered personal injuries in such an accident there, the first thing to do is to call the best Naples personal injury lawyer to help you determine if you can claim compensation for your harms and losses in a Naples elevator and escalator injury case. The Naples elevator and escalator accident attorneys at the Wolfson Law Firm are available for help 24 hours a day, seven days a week. We have 50 plus years of experience in helping good folks who have been in the wrong place at the wrong time. Call us now at 239-777-9954. Our consultations are free. So is our representation until we recover for you. Naples is a small city of only 20,000 people, located in Collier County on the Gulf Coast. It is surrounded by the North Naples and South Naples on north and south respectively. Larger cities in Southwest Florida, such as Marco Island, Fort Myers, Cape Coral, and Lehigh Acres, are close by. Escalator and elevator accidents hurts more than 17,000 people in the United States every year. Some of them even lose their lives. They are not to be taken lightly. Naples abounds with places where elevators and escalators are being used regularly. From shopping malls to retail stores, resort, waterparks, and even grocery stores, they all make the movement more convenient by installing them. For you, it is important to know that the establishment operating them may be liable for your injuries. They owe you a duty of reasonable care, which means that they need to take all reasonable measures to prevent elevator and escalator accidents at their premises. If an accident happens due to their negligence on improperly maintained escalators and elevators, they can be held legally responsible to compensate you for all of your injury-related harms and losses. The Naples elevator and escalator accident attorneys at the Wolfson Law Firm are here to help you. Insurance companies often employ delay tactics and expect that the claimant’s lawyer will eventually quit because they don’t want to go to court. But that’s not us. We stand with our clients through settlement, verdict or appeal. When we take a case, our goal is to get compensation for our clients. That’s why we handle cases on a contingency basis, which means that you won’t pay us fees until we recover for you. There is no cost in contacting us today. Call us now on 239-777-9954 for free consultations and let’s get to work on your Naples accident and injury.